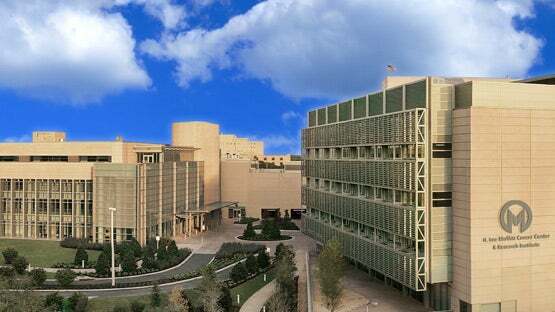 Moffitt Cancer Center opened in 1986 on the campus of the University of South Florida in Tampa, which was followed by active research effort beginning in 1994. Moffitt achieved NCI cancer center designation four years later (1998), and ultimately was awarded the prestigious NCI comprehensive cancer center designation in 2001. Moffitt strives to be a leader in understanding the complexity of cancer through team science and applying those insights for human benefit. The institution employs over 800 research faculty scientists, career staff scientists, postdocs, graduate students and support staff dedicated to cancer research. Our significant contributions to the prevention and cure of cancer are based in compassion for our patients, an emphasis on collaboration, and a culture of scientific excellence. Moffitt’s size, its singular focus on cancer, and its close interaction and outreach with academic partners and caregivers throughout the state, nation, and world all contribute to the rich, collegial, and collaborative environment required to perform outstanding cancer research and educate the next generation.